I feel bad because really and truly I ‘m not holy enough. We accomplish much here at the Casa Maria Catholic Worker House. Up to 600 single bag lunches and 200 family food bags go out the door here every single day except for Thanksgiving and Christmas. And the organizing that we have been doing thru the Bus Riders Union just might keep fares as they are and routes intact – the organizing is bearing some fruit. I guess I’m feeling that all this service/activism can lead me to be a crass workaholic, just like some corporate executive who is a “success” based on how much he works and accomplishes. Maybe the intensity involved in living this way makes life too dreary, too much of a grind? 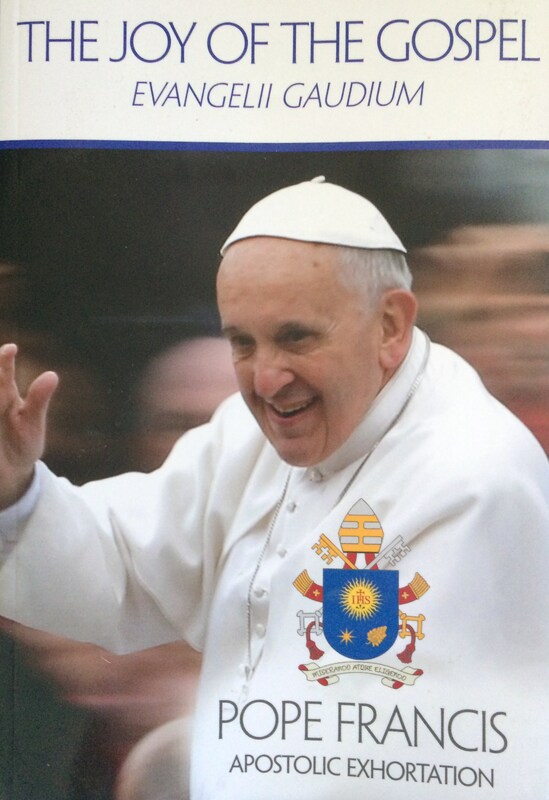 Which is why reading the apostolic exhortation of Pope Francis (given to us by Msgr. Cahalane in both English and Spanish) has been such a blessing! He lays it out: A real believer will be a fountain of joy, the joy of the gospel, because they encounter and continue to encounter Jesus and God’s love, which makes one experience a profound liberation, away from narrowness and self – absorption and more sensitive to the needs of others. Lord Jesus may we be infused with your Spirit in this holy season, so that we may truly experience the joy of the gospel.